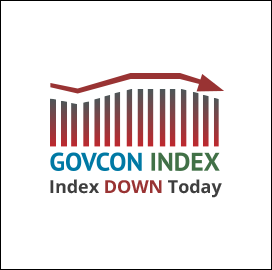 The Executive Mosaic GovCon Index (GCI) continued to slid for the second consecutive day closing down 0.425 percent to 97.396. Decliners outpaced advancers 2 to 1. 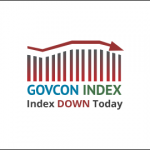 The major indices closed mixed with the S&P500 up and the NASDAQ Composite reaching new record highs while the DJIA closed down . The markets await quarterly earnings reports to determine market positions. Crude oil reversed yesterday’s downward direction to close up with WTI on the NY Mercantile Exchange settling at $46.48 per barrel up 1.00 percent. The markets responded to reports that Saudi Arabia is evaluating further production cuts.